Welcome back to Thunder Point! 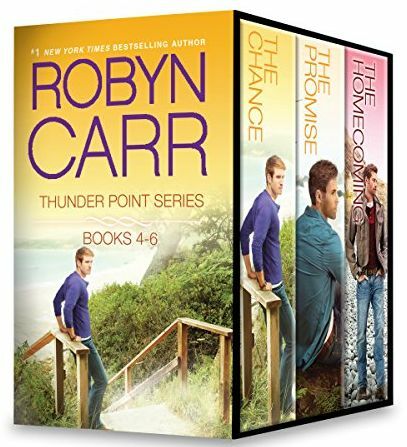 Enjoy books 4-6 in New York Times bestselling author Robyn Carr’s fan-favorite series, now available for the first time in one collection. The locals of Thunder Point, Oregon, embraced FBI agent Laine Carrington as one of their own after she risked her life to save a young girl from a dangerous cult. So she stays recuperate from a gunshot wound and contemplate her future in a town that feels safe. Eric Gentry is also new to Thunder Point, determined to put his criminal past behind him and get to know the daughter he only recently discovered. When Laine and Eric meet, their attraction is obvious. But while they want to make things work, their differences may run too deep…unless they take a chance on each other and choose love over fear. Dr. Scott Grant has a bustling family practice in the small community, and his two children are thriving—he knows it’s time to move on from the loss of his wife. But as the town’s only doctor, the dating pool is limited. That is, until the stunning Peyton Lacoumette applies for a job at his clinic. Even though the salary is much lower than she’s used to, Peyton accepts the job…for now. She’ll stay for a three-month trial period while she explores other options. Peyton’s been burned before by a man with kids, and she’s determined not to repeat mistakes. They both know the arrangement is temporary—it isn’t enough time to build a real, lasting relationship. But love can blossom faster than you think, and this short visit just might hold the promise of forever. The people in Seth Sileski’s hometown have never forgotten what might have been: the handsome star athlete and student lost everything in a terrible accident that put an end to his professional football career when it had barely begun. Seth has come to terms with the turns his life has taken, and now he has an opportunity to show everyone he’s become a better, humbler version of his former self. 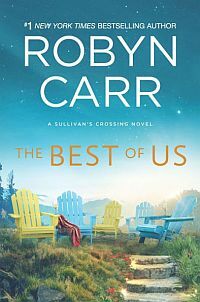 Winning over his father is the main challenge, but Seth must also find a way to convince his childhood neighbor and best friend, Iris McKinley, to forgive him for breaking her heart. With his homecoming, will Seth be able to convince the town, his family and especially Iris that he’s finally ready to be the man who will make them all proud?